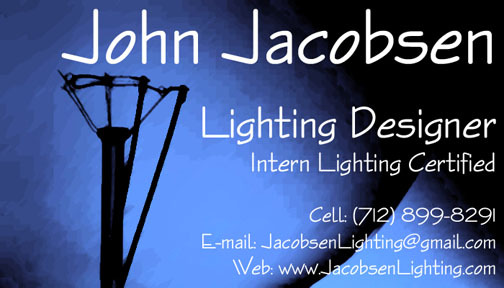 Welcome to the home of Jacobsen Lighting on the web. Please excuse the limited site features - the full site will return soon. In the meantime, my resume and digital portfolio are available in PDF format. Thanks for visiting and please come back soon.